Location: 4th Floor, Xion Mall, Next to Taj Gateway hotel, Hinjawadi road, Hinjawadi, Pune. 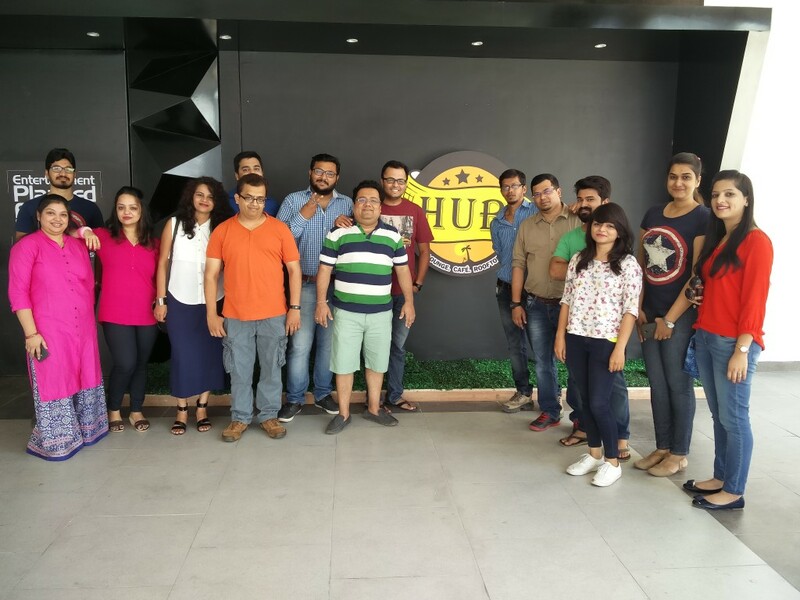 It has been enough time that Delhi and Mumbai moved on with the latest trends in F&B industry but we had to wait for them to arrive in Pune, good news is it’s finally here – HUB in Hinjawadi. 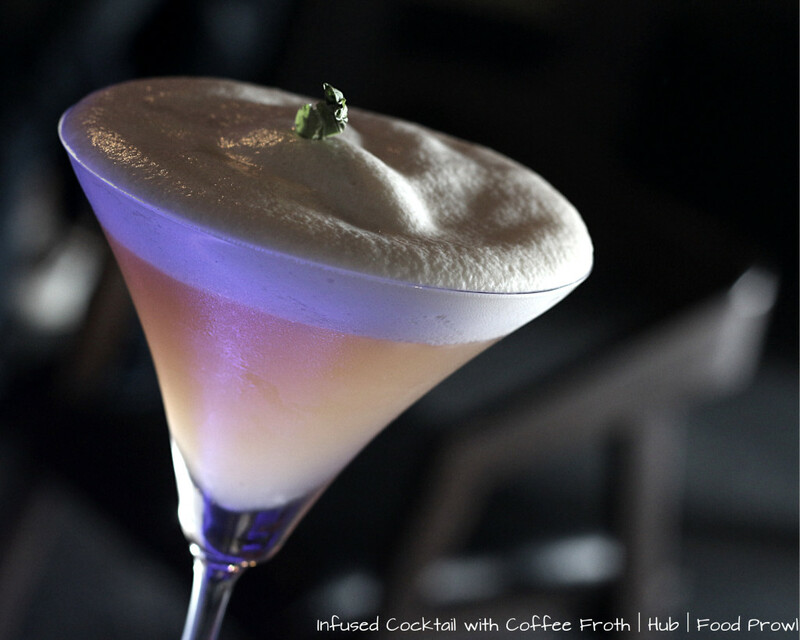 HUB is bringing Molecular Gastronomy based drinks, modern Indian cuisine along with traditional Nizami Street Food, Wood Fired Oven, Cafeteria and Bakery – all under one roof. 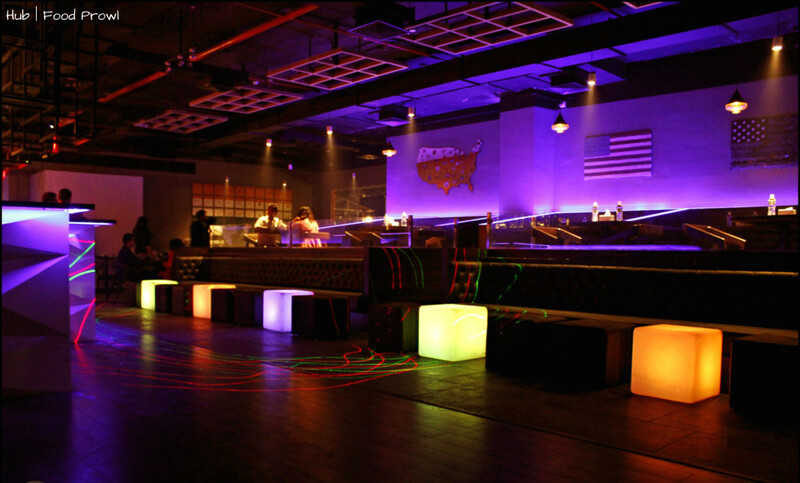 It has an indoor lounge area with bar, dance floor and mood lighting. Outside area has a small Bakery along with a Café and the Live kitchen for Italian delicacies. The Rooftop with a view, this place is all set for sun downers and upcoming Nizami food that will be served the traditional way like areas of Old Delhi, Lucknow or Hyderabad. 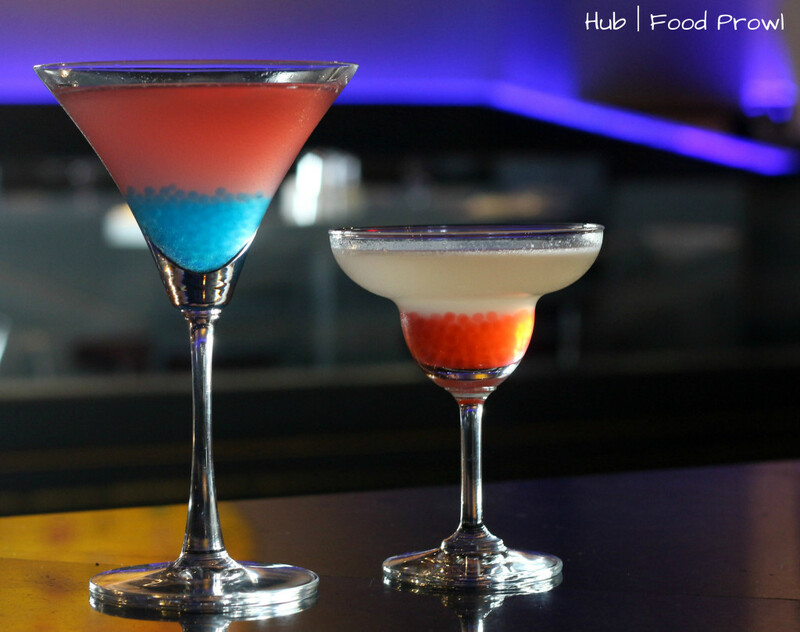 So whatever your mood or preference be, Hub is all set to cater it. We recently visited the place in less than a fortnight of its opening, things were still getting finalized and final touches were being made, but that didn’t affect our experience a bit. On the contrary after interacting with the staff it becomes evident that they have been trained for months before the opening. They had answers to every query and didn’t run back to ask the captain or the Chef about the food or drinks. 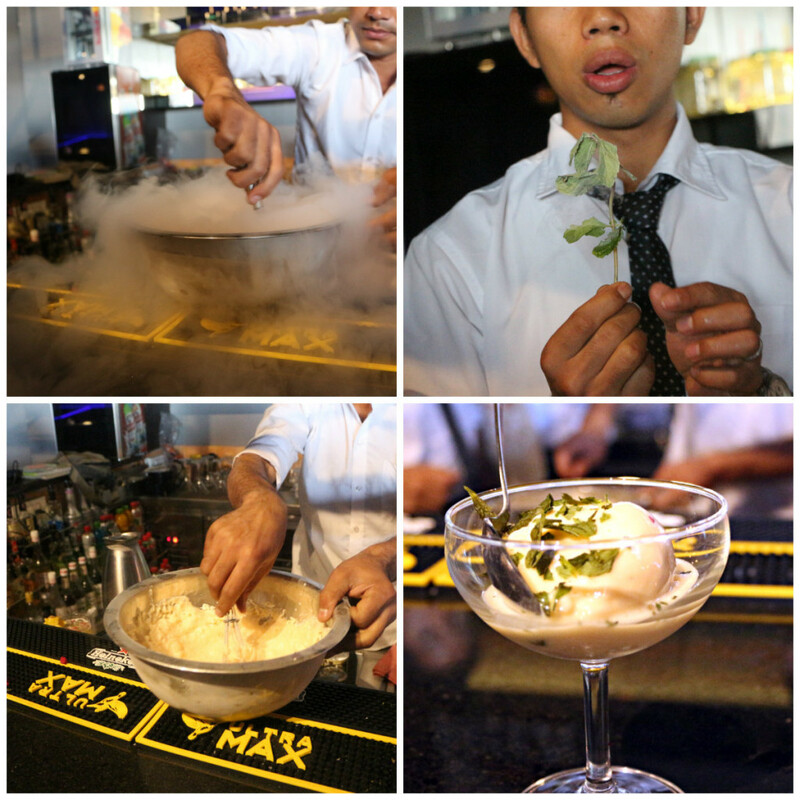 Bartenders are completely comfortable playing around with the gastronomy kit and blending various elements together in a drink like they have been on it for quite some time. 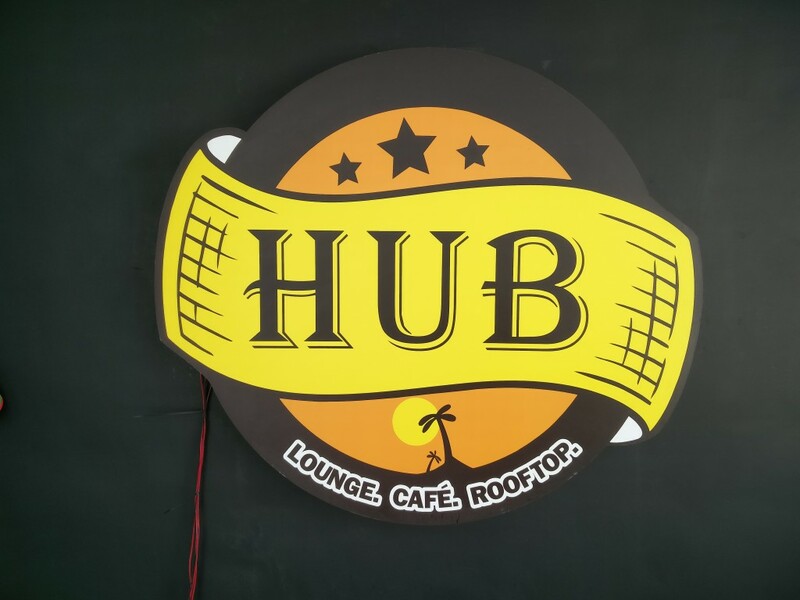 Mr. Prem, the owner of HUB has worked on every detail. 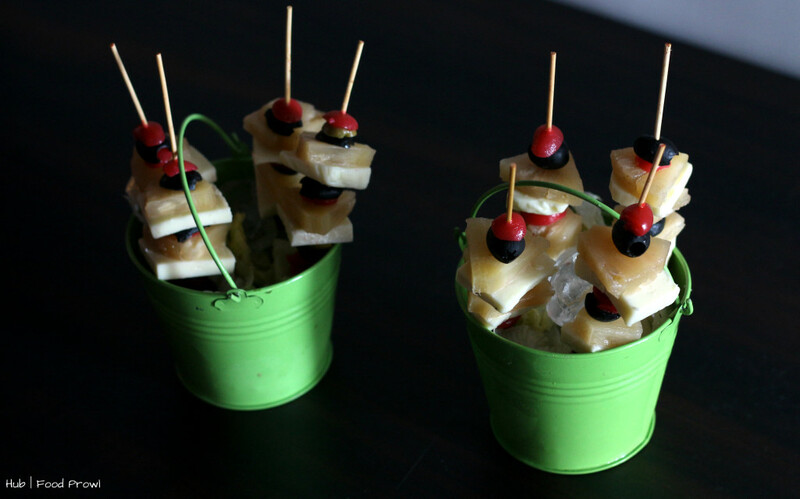 Food preparations are brilliant, serving styles are Uber and Chic and in some ways new to Pune. 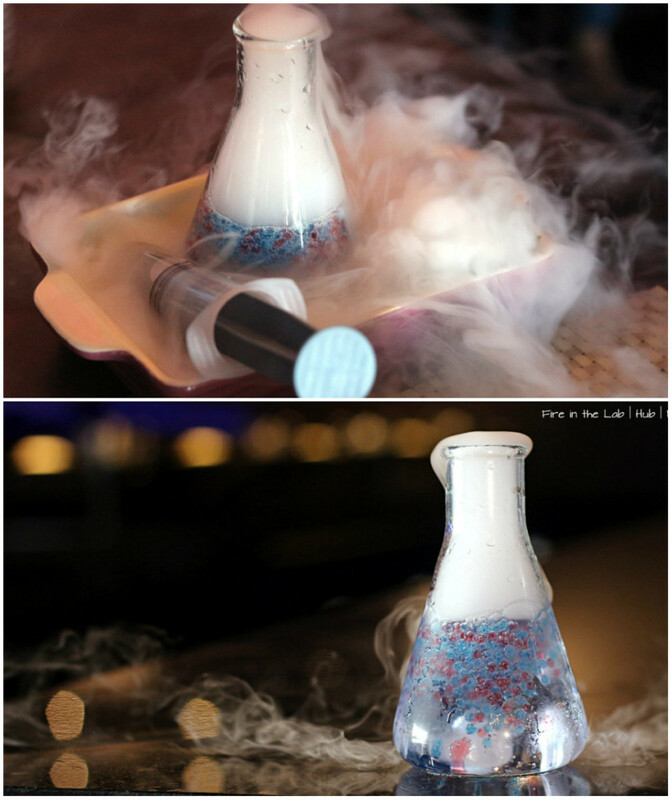 To add enough drama, theatrics and new palate experience, they have introduced Molecular Gastronomy and no one in Pune has been doing it at this level until now. 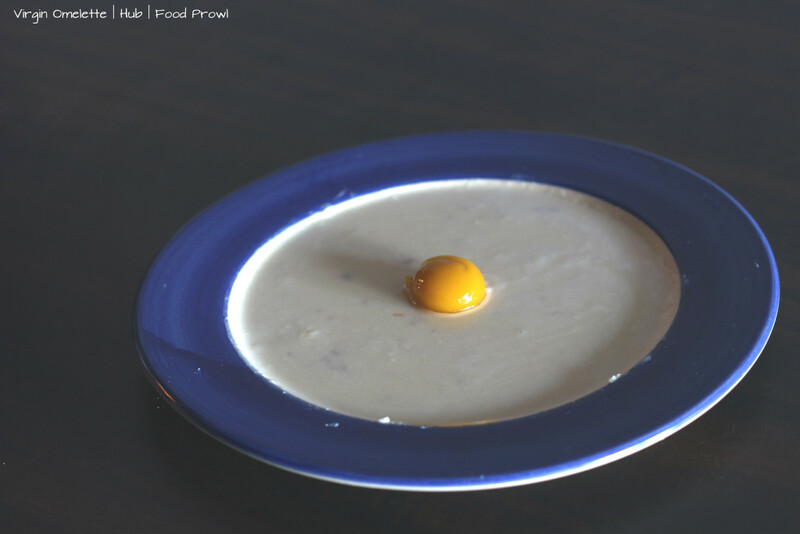 Spherification – A simple yet deceptive one, they have Use for creating the vegetarian egg yolk for the Virgin Omelette (it’s actually a dessert!!) and for the Mongo Ravioli. Faux Caviar – They have created simple flavored artificial caviar that is added to various cocktails to add the extra texture and taste to them, very neat and nicely incorporated in the Cosmopolitan and the Daiquiri. Infusion – This is a simple way of infusing drinks with flavors of fruits, herbs, spices, flowers without directly mixing them. We tried Citrus Spiced Infused Alcohol and it was a sublime delight with purity of flavors mesmerizing the taste buds, the infused drink was layered with espresso foam on top that added another texture to the drink and induced more flavor depth and complexity, this is a must try drink here. 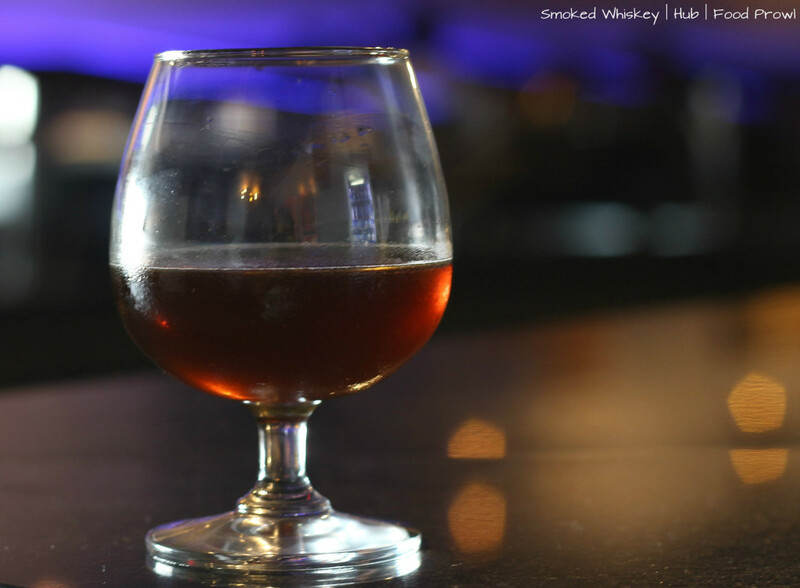 Smoking – This technique was used to turn a humble whiskey into an aromatic drink with accentuated flavors – Smoked Whiskey. The whiskey had a distinct and pleasant smokiness with notes and after palate of whole spices like cinnamon and clove. A very mature tasting drink with a good body, it had everything I want in high end malts, at a lesser price point. They also did a on table Smoked Rum with similar flavors and with smoke being created on the table that we could capture in our glasses and blend with the rum concoction. 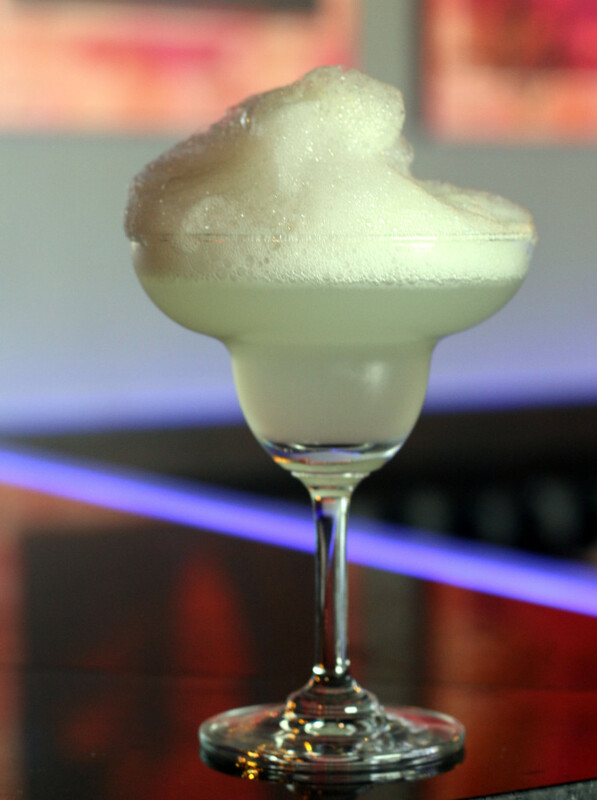 Foaming and Frothing – These 2 are different ways of adding textures to flavors and puzzle the mind a little. We were served a Margarita that instead of salt on the rim the glass; it had salty sour foam on top of the drink, very interesting. Froth as mentioned earlier was added on top of the infused cocktail, froth was much denser than the foam and had more body. Flash Frozen – This is the most commonly used and dramatic part of chemical invasion into a kitchen. Yes it’s the Liquid Nitrogen that is used to flash freeze food or give the smoky clouds to a dish to build curiosity around it. At HUB they have used this component very cleverly not just for preparing ice creams but for drinks as well. 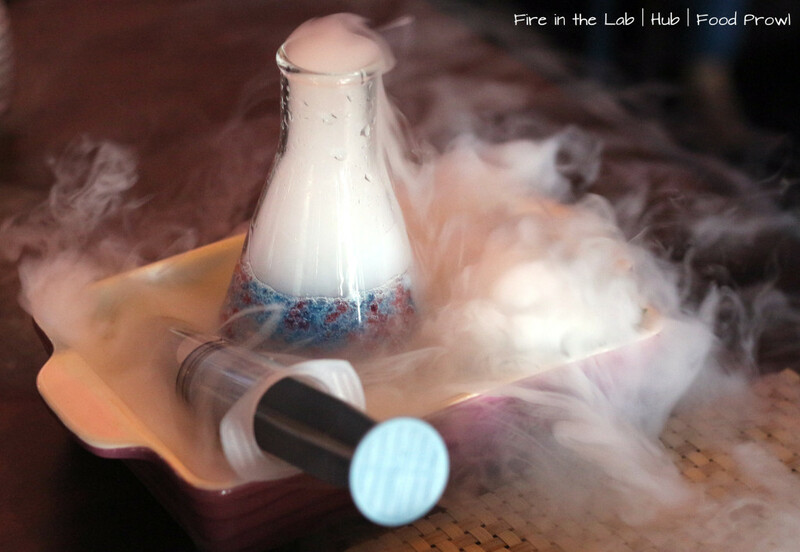 Fire in the Lab was one such drink where the faux caviar was added in a laboratory flask with one part of drink and the alcohol was served in a syringe to be added on the table. This was a gin and tonic cocktail with many more elements attached to it and it was enjoyed by everyone on the table both visually and taste wise. 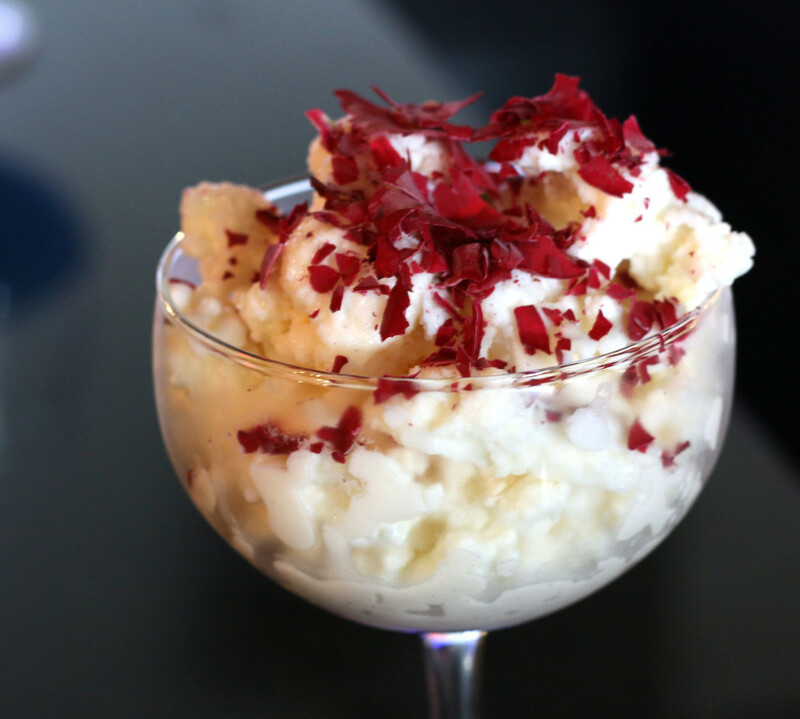 From the fascinating drinks to the food, we tried Asian, Indian and Italian food and everything was prepared to perfection, there was nothing that we could point out as an area of improvement. The flavors, textures, portion size, flawlessly cooked and succulent meats (this was a major point to be appreciated); it checked all the boxes for a great meal. We started with a Tamatar Dhaniya Shorba soup, nice tangy preparation that was served with Mini Papdi instead on croutons. In starters we had the BBQ on the House both veg and chicken, these are platter size servings, put on an actual grill and served on the table. 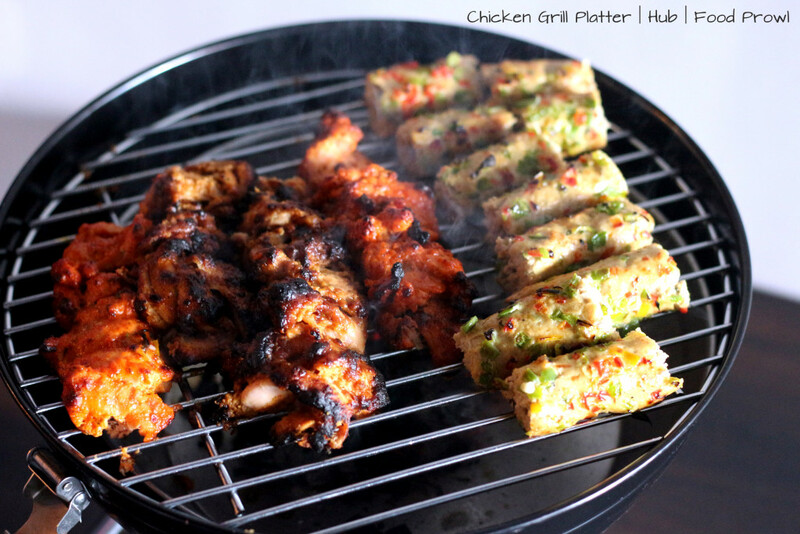 3 types of Chicken Kebabs which had full portion of 6-8 pieces of each. It was all precooked and we didn’t have to wait for it to get finished, grill is the presentation aspect, it was so liked that we ordered another portion of it. Then we had Shanghai Platter was a vegetarian platter with oriental preparations, mushrooms in a spicy sauce, crispy vegetables, onion rings, potato bites. 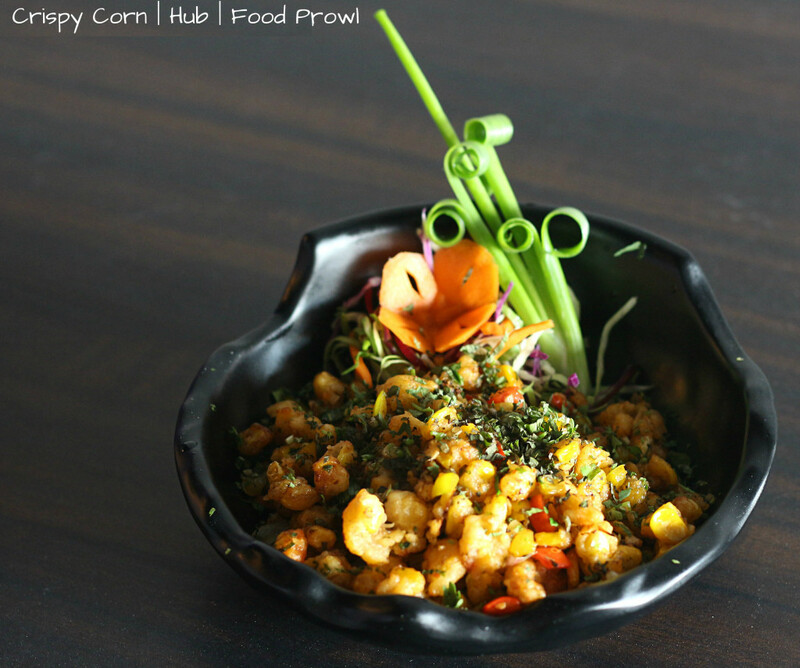 Nicely prepared and good combination of flavors, can be shared by 2-3 people easily. 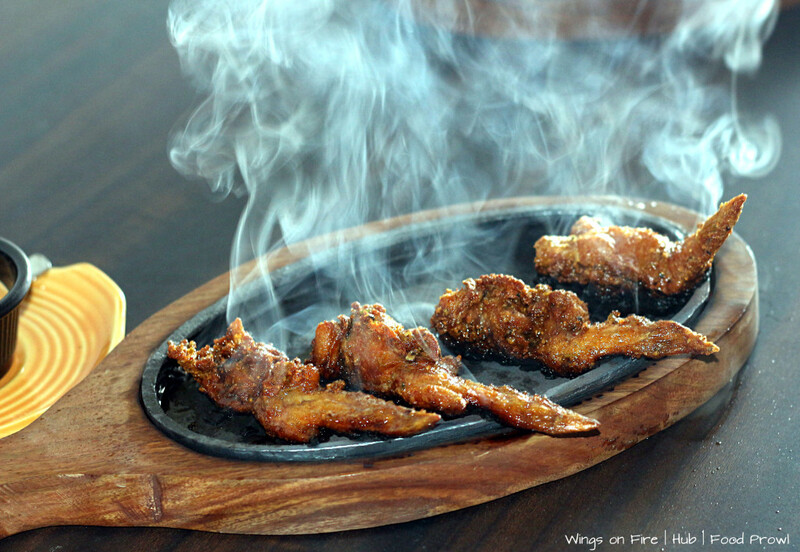 Wings on Fire was another good preparation, chicken wings crispy fried in a chilly garlic sauce, served on a sizzling plate. 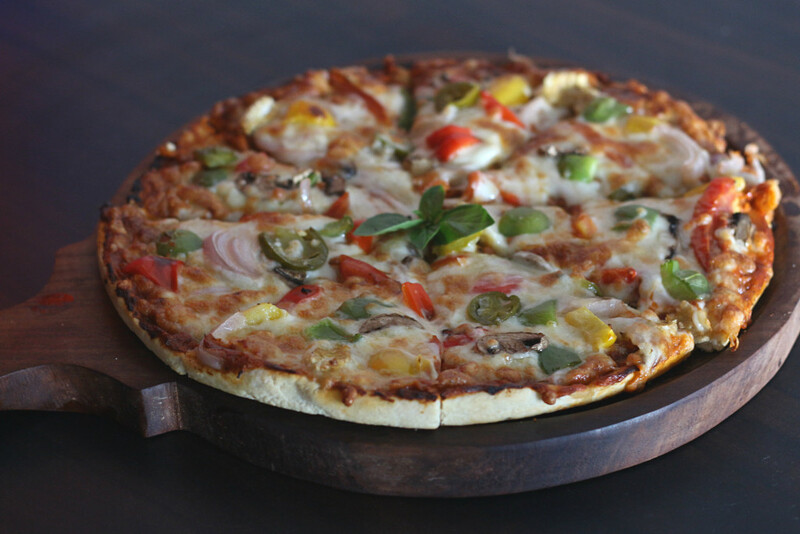 Next were served Vegetarian and Non Vegeterian Pizzas, 12 inch Crunchy Thin Crust Pizzas with right amount of toppings that were not overload. Both Pizzas were good in taste, had stringy cheese and a tangy sweet base sauce. Mains we preferred to try complete Indian spread. Food was rightly North Indian and not just named like that, right spices used and no overdose of cream, tomatoes etc. that most of the places do to call their food North Indian. 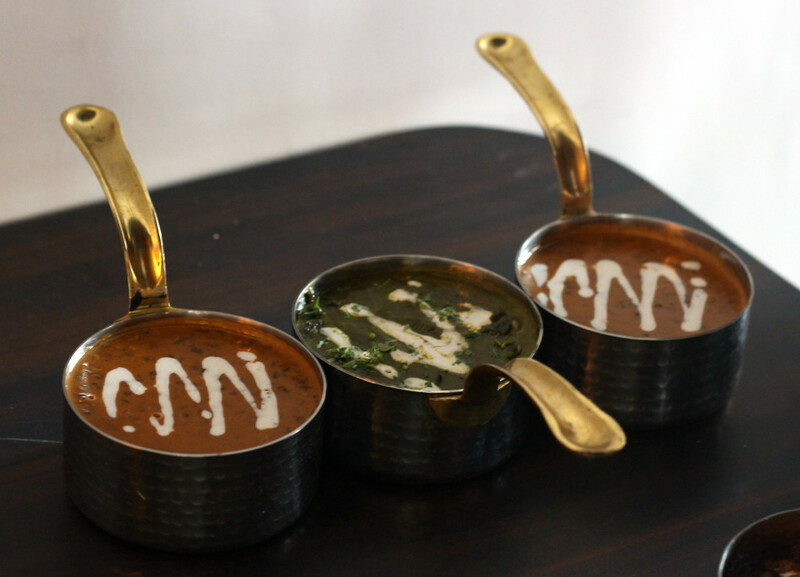 To start with Dal Bukhara was the best we have had in Pune; with minimum ingredients it oozed simplicity and the ‘saudhapan’ that comes from slow cooking it for very long hours. Pakhtuni Kofta was such a welcome surprise, not sweet nor spicy but a delicate Vegetarian Kofta in a Green Curry. Mushroom Matar Masala was done in a Red Curry and Mushrooms had their texture intact and were not wilted. Non Vegeterian preparations were also good and had the right flavors that come from local spices. 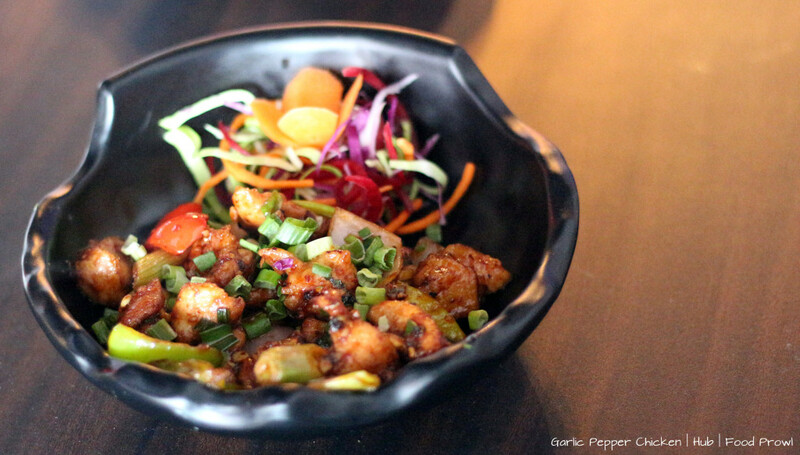 Kadhai Chicken and Bhuna Gosht, meat cooked to perfection and flavors infused in every layer till the core. 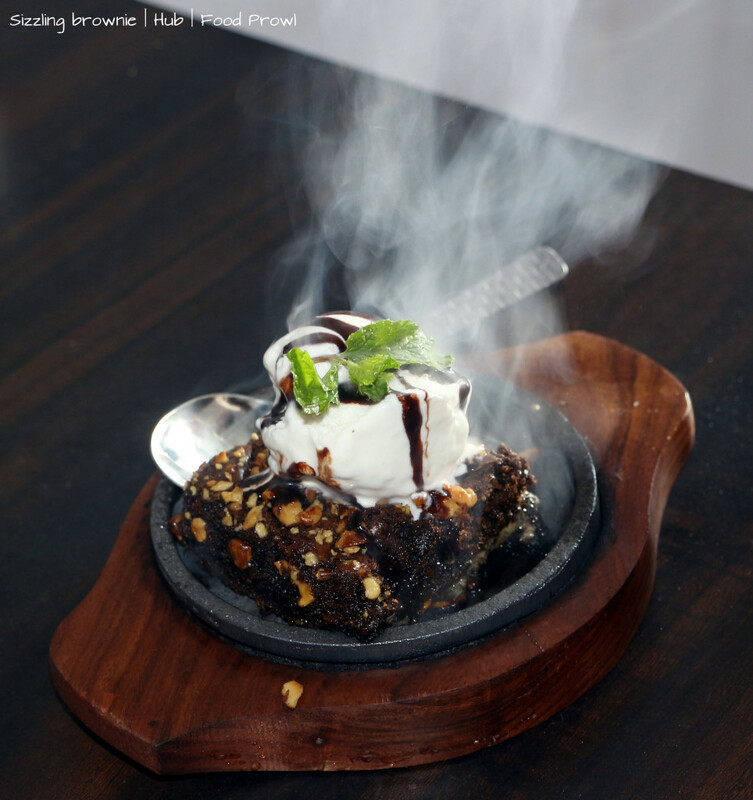 For Desserts we were served in-house backed Choco Lava Cake and Sizzling Brownie with Ice cream. This is first sizzling brownie that I had and didn’t burn my palate, because of the clever use of a thin slice of pineapple that didn’t let the brownie get sticky and burning. Flavors were good and it had enough walnuts. 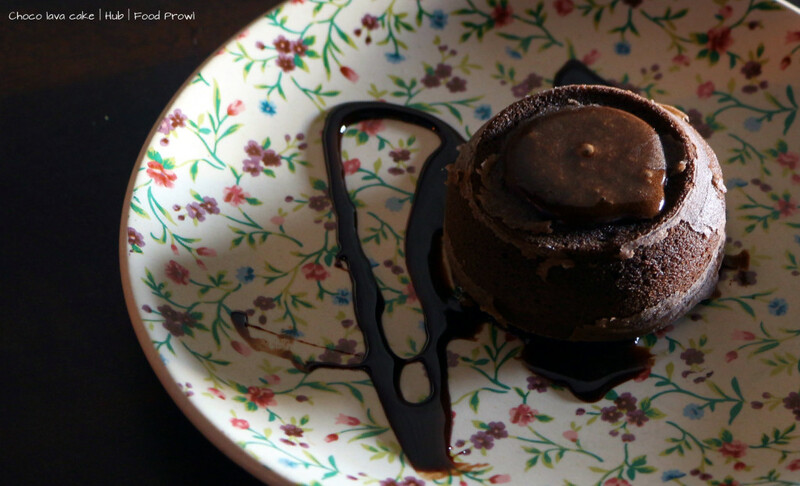 The Choco Lava Cake was not the typical kind that is available in most restaurants This was like a volcano erupting and oozing Lava from the top of the Cake. In summary, this is a brilliant place that has been opened with lot of planning and hard work. It has all the elements from Ambience, Drinks and Food that can make it a grand success.